The Whitbread Award-winning author of A Good Man in Africa and the Costa Award-winning Restless now gives us a sweeping new novel that unfolds across fin-de-siècle Europe as it tells a story of ineffable passions--familial, artistic, romantic--and their power to shape, and destroy, a life. Brodie Moncur is a brilliant piano tuner, as brilliant in his own way as John Kilbarron--"The Irish Liszt"--the pianist Brodie accompanies on all of his tours from Paris to Saint Petersburg, as essential to Kilbarron as the pianist's own hands. It is a luxurious life, and a level of success Brodie could hardly have dreamed of growing up in a remote Scottish village, in a household ruled by a tyrannical father. But Brodie would gladly give it all up for the love of the Russian soprano Lika Blum: beautiful, worldly, seductive--and consort to Kilbarron. And though seemingly doomed from the start, Brodie's passion for her only grows as their lives become increasingly more intertwined, more secretive, and, finally, more dangerous--what Brodie doesn't know about Lika, and about her connection to Kilbarron and his sinister brother, Malachi, eventually testing not only his love for her but his ability, and will, to survive. WILLIAM BOYD is the author of fourteen novels, including A Good Man in Africa, winner of the Whitbread Award and the Somerset Maugham Award; An Ice-Cream War, winner of the John Llewellyn Rhys Prize and short-listed for the Booker Prize; Any Human Heart, winner of the Prix Jean-Monnet and adapted into a BAFTA Award-winning Channel 4 drama; Restless, winner of the Costa Award for Novel of the Year, the Yorkshire Post Novel of the Year, and a Richard & Judy selection; The Sunday Times (London) best seller Waiting for Sunrise; and Solo, a James Bond novel. 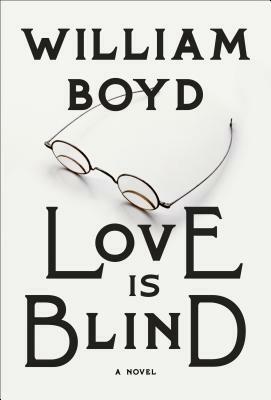 William Boyd lives in London and France.